Public libraries have always been a community’s access point to information and learning: obtaining books or journal articles, attending educational presentations, participating in civic discussions, joining in storytimes and reading activities. But, in today’s digital media age, the access point to information is increasingly through the internet and on devices like smartphones, tablets, and laptops. People routinely turn to the internet to stay abreast of current events, to communicate via email, to conduct job searches, to search for government forms, to obtain health information, and for any number of other unique reasons. However, with our daily reliance on computers and the Internet comes the challenge of equality of access and the continued “digital divide” in our community due to factors like cost, misconceptions about technology, or lack of skills or knowledge. Patterns of unequal access to information technology – primarily computers and the internet – based on income, ethnicity, geography, age and other physical or sociological factor; disparities in technology use, resulting from a lack of access, skills, or interest in using technology. To participate fully in today’s society – for education, business, economic, or social reasons – computer skills and internet access are required. For our community members, both with and without quality access to a computer or the Internet, the Poudre River Public Library District serves as an essential public access provider. 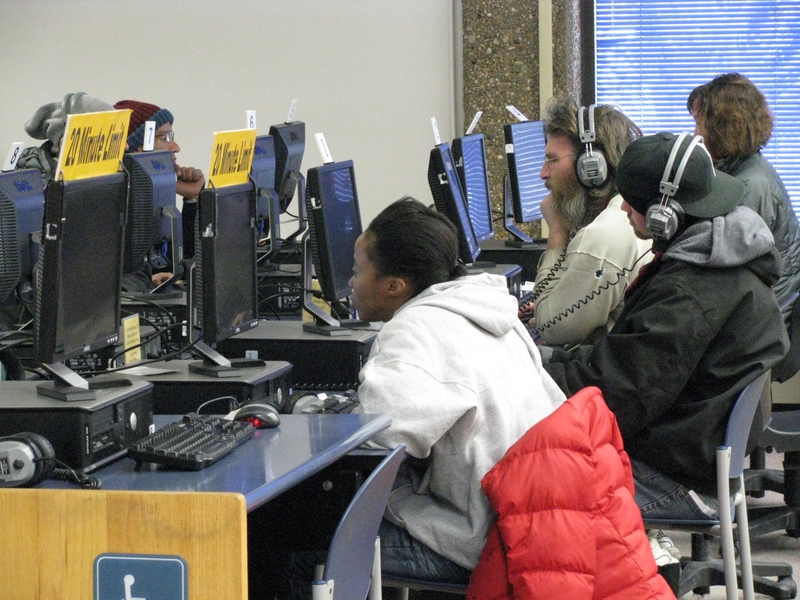 The Library District’s 87 public access computers and workstations routinely serve more than 13,000 users each month and frequently reach community members who previously were unable to participate in online resources like email or news sources. Additionally, the highly trained library professionals provide individual assistance on a daily basis to users whose perceptions about or reluctance to use computers previously prevented them from using the technology. In support of digital equity in the community, the Library District goes beyond simply providing public access to computers, the Internet, printers, and copiers; all three library locations also offer more formal training and instruction designed to strengthen our community’s digital literacy and digital citizenship. The Library District’s free classes and training seminars include options for community members at all stages of their digital learning and reflect the many needs of our participants. Computer skills classes range from introductory courses like Computer Comfort and Internet Searching to program-specific courses like Microsoft Word or Excel. Beyond the computer classes, the library also offers monthly tutorials on how to download eBooks and other electronic materials to your iPad, iPhone, and Android devices using the library’s digital services like OverDrive and hoopla. Another popular class offered each month is the iPad 101/201 series that teaches users how to change settings, use Safari, download apps, and make the most of your Apple device. There are also a variety of courses that reflect current topics and trends like social media, blogging, coding, digital photo editing, and more. For a full list of classes visit the Computer Classes section of our website or the online Events Calendar. One of the most important elements of the library’s digital resources is the collection of informational databases, research sites, and homework help. Commonly referred to by the staff as the Answer Cache, these online tools provide users access to everything from online journals, magazines, and scholarly research to automotive and small engine repair information and K-12 homework help. For help using the Answer Cache resources, you can talk to librarians in-person or attend the class “You’ve got Questions, We’ve got Answers!” for more detailed instruction. Finally, if you aren’t already familiar with our Lynda.com online learning platform, be sure to check it out. It’s a collection of engaging, top-quality courses taught by recognized industry experts on a wide range of software topics like Photoshop, Apple TV, and Pages, as well as instruction on subjects like marketing, finance, and even screenwriting. The library staff will happily walk people through how to use Lynda.com or any of the Answer Cache databases and tools. Once people see how easy it really is to use these, they’re thrilled with the new opportunities these tools present. All of the library locations provide educational iPad Stations for kids, tweens, and teens. 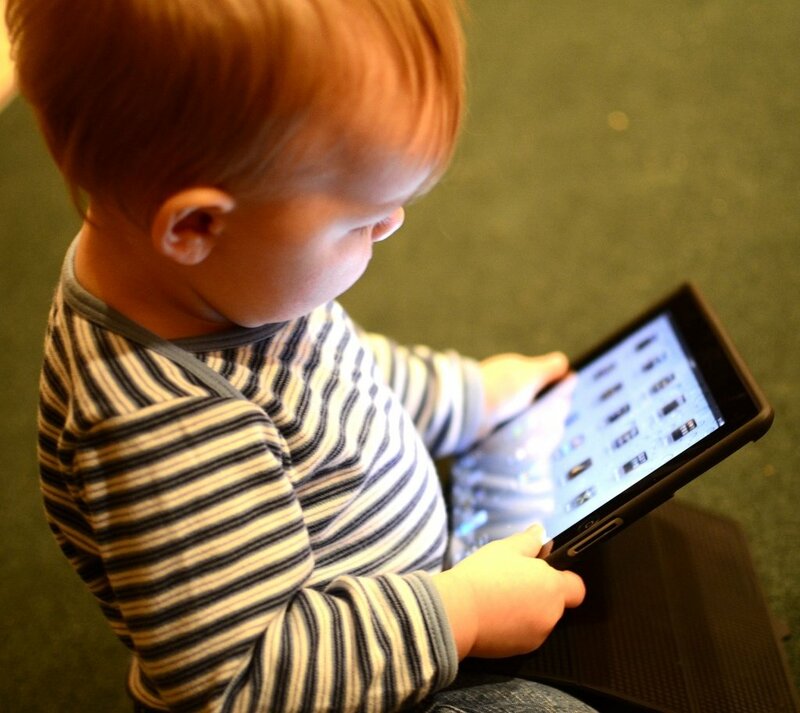 These stations do not support Internet browsers or email, so users have secure connections to age-appropriate apps and games loaded to the tablet. The iPad Stations include educational, fun age-based apps like math-based puzzle game Threes! and the MC Escher-inspired Monument Valley. The Library District’s extended technology and digital literacy Media Mentors continually keep an eye out for what’s next on the horizon like building awareness of one’s digital footprint. As technology continues to change, the library staff works hard to stay at the forefront of issues and trends and to identify what the community needs. If you have questions about current technology and digital services available through the Library District, please give us a call at 970-221-6740 or visit our website. You can also request an appointment with a Media Mentor for one-on-one assistance.